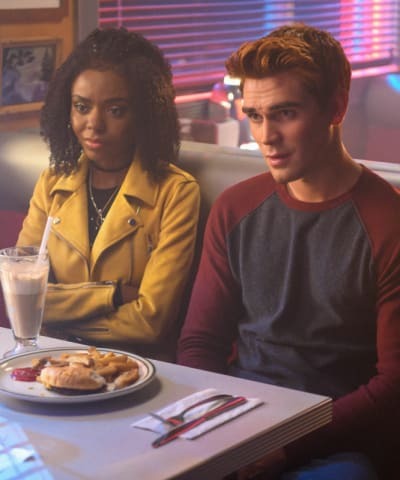 Riverdale Round Table: Will Betty and Kevin's Friendship Survive? Betty undermined Alice's attempts to sell the house, Ricky tried to murder Archie, and Jughead made a partnership with the Sheriff's office on Riverdale Season 3 Episode 14. 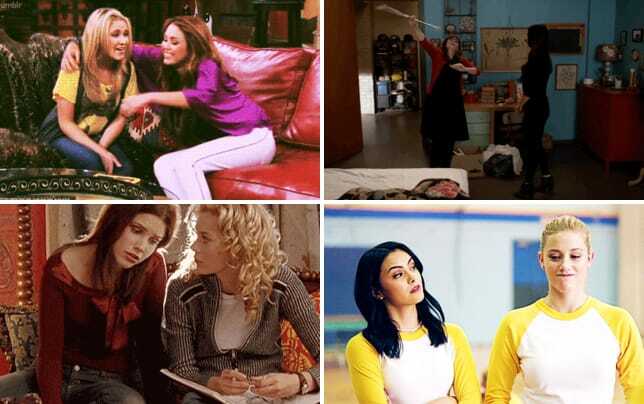 Below, TV Fanatics Becca Newton, Kat Pettibone, and Brandon Vieira debate Betty's decision to set the house on fire, Veronica's chances at freedom, and they share their thoughts on Luke Perry's untimely death. Veronica set new restrictions on Gladys and Hiram about repaying the money and respecting her personal space. Even if she pays back the $75K, will she truly escape their control? Becca: Veronica will get out of Gladys' clutches. Pretty soon Gladys will be too busy to mess with Veronica because she'll be dealing with the ramifications of Jughead finding out about her activities. Afterward, she'll probably leave Riverdale; though, the door will be open for her return. Hiram is a different story. His actor is a regular cast member, which is more of a guarantee Hiram will be around to stir up trouble. However, what's preventing Veronica from getting out from under his thumb is her constant waffling between helping and opposing him. Until she cuts all ties and dismantles all of Hiram's operations, she will never be free. Kat: I don't want to sound like a Debbie Downer, but are we done with this storyline yet? It feels as if Veronica will never escape the wrath of Hiram, and we've been riding this arc for way too long now. 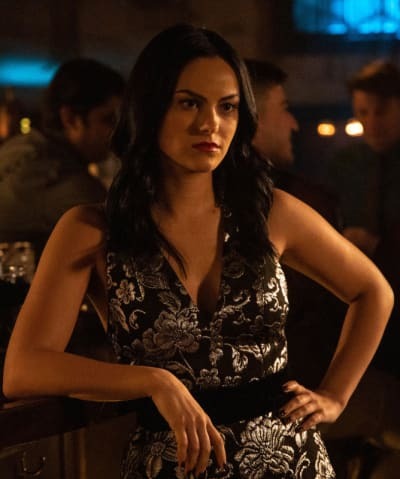 Is Veronica set on taking Hiram down? Or, does she want to team up with him? Where does Hermione land in all of this? The Lodge family drama is on a continuous loop, and it's the same conflict over and over again. So, my assumption would be no, she isn't going to escape his control any time soon, and next episode he'll be back to beating her at her own game because, well, she's 16 and he's a mob boss. The Pretty Poisons aren't an impenetrable road block. Brandon: Nope because just like Kat said, this looks to be a never-ending storyline. The Lodge family drama has been overdone, but it doesn't seem like Riverdale knows any other way to use Hiram. He's become the most predictable and boring character on Riverdale. In the next few episodes, he and/or Gladys will get leverage over Veronica once again and this tale will continue. Kevin and Evelyn threatened to expose Betty's secrets if she published her story. Do you think Betty and Kevin's friendship will survive this betrayal? Becca: Their friendship will survive, but I'm worried the show will gloss over any conflict the two of them had once Kevin snaps out of it. I want Kevin and Betty to be friends, but sweeping things under the rug doesn't feel right from either a dramatic standpoint or for their friendship. Kat: Yes. She will probably forgive him instantly because he was "under the influence of The Farm." 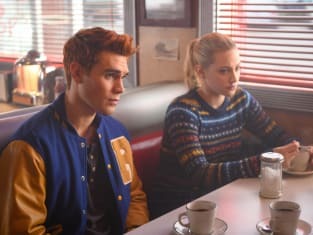 I wouldn't want to see this friendship over by any means, but it would be nice if they really fleshed out this story and had Betty and Kevin work towards finding their way back to trusting each other. I'd also like some backstory as to why Kevin was so easily manipulated by all of this, especially when a few episodes ago he wouldn't give into the Gargoyle King. Moose leaving doesn't sell it for me. Also, WHERE ARE HIS PARENTS? Brandon: I think they will because, despite the lack of screen time the pair gets, they have the strongest friendship on this show. Kevin has been there for Betty through all the tough times, and now it's Betty's turn to be there for him. It would be great to see this story fleshed out and actually see the friendship grow and heal. Jughead teamed up with FP to provide a new working opportunity for the Southside Serpents. Could this business endeavor prove successful with changing things? Becca: Jughead and FP have had quite the winning streak lately. They managed to turn setbacks into advantages and achieved Jughead's dream of the Serpents officially becoming Riverdale's Jedi Order. Unfortunately, I don't see their success lasting much longer because it is against the status quo. It seems inevitable the Serpents will go back to being pariahs, and the Jonses will once again be scraping by before the season is over. Kat: I hope so. I've always thought the gang presence was a little ridiculous, even for Riverdale standards. But, if you use The Serpents as a vessel to improve the lives of those involved, you give them a bigger purpose. I'm hoping they focus on making The Serpents the "good guys" who do the right thing and working with FP isn't just to cover up their wrongdoings. I want this to actually help them get farther in life. Brandon: Probably not. Things never really seem to work out for the Serpents, and I imagine the Gargoyles is bigger and stronger than they realize. The Serpents and FP may think that they solved their problems but in reality, their problems with the Gargoyles have likely just begun. Ricky turned out to be a devoted follower of the Gargoyle King. Did the twist surprise you or did you expect his shadiness? 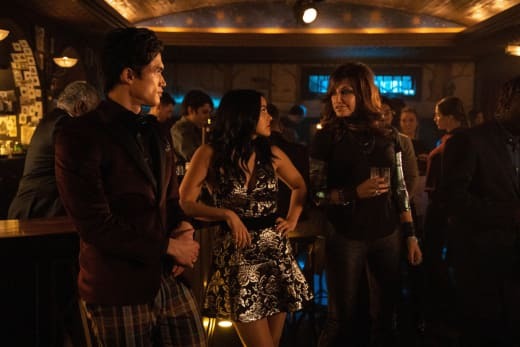 Becca: On Riverdale, shadiness knows no age limit, and everything is connected to the Gargoyle King. 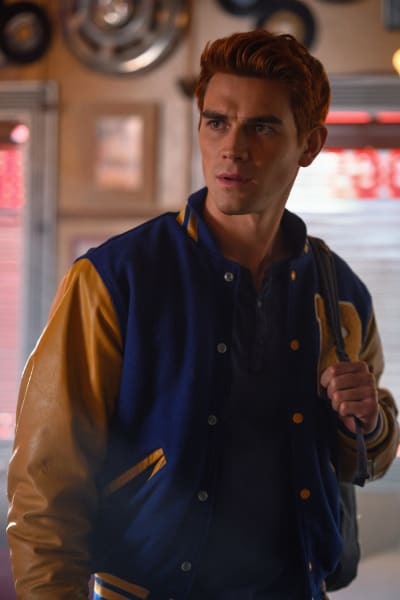 Any shock I experienced over the reveal had less to do with the direction the story went and more to do with staging and how invested I was in Archie and Ricky's relationship. Archie's interactions with Ricky put a spotlight on his better qualities and had me wanting a happy resolution for both their sakes. Kat: I was surprised! I thought it was going to be a "big brother" storyline to move Archie's rehabilitation forward, but it turned out to be something much dark. It was fairly twisted and there was a nice payoff. The directional choices when Archie finds Ricky standing behind him with a knife played out like a true horror film. I'm also always a fan of tying Archie in with the main plot, so as tired as I am with Gryphons and Gargoyles, I thought this was a relatively clever way to bring him back into the bigger narrative. I'm looking forward to Archie teaming up with Betty and Jughead going forward. Ricky: I thought this would be the last place they’d come looking for me, but I’ll never be able to escape them. I’m marked for death. That’s what this symbol means, isn’t it? And you have it too! Archie: Yeah, it means sacrifice, but that’s not gonna happen. I swear. Permalink: I’m marked for death. That’s what this symbol means, isn’t it? And you have it too! Brandon: It was a solid twist that I didn't see coming. I thought Ricky was going to be a mentee for Archie. Someone he could take care of and groom to be the man he hoped to be before he was sent to juvie. Their relationship seemed so sweet in the beginning, and it was heartbreaking when we found out the kid was actually trying to kill Archie the whole time. I think moving forward this is really going to affect Archie's outlook on life. He was so trusting and open, and now he's been betrayed one too many times to be that same person. Betty set her house on fire. React! 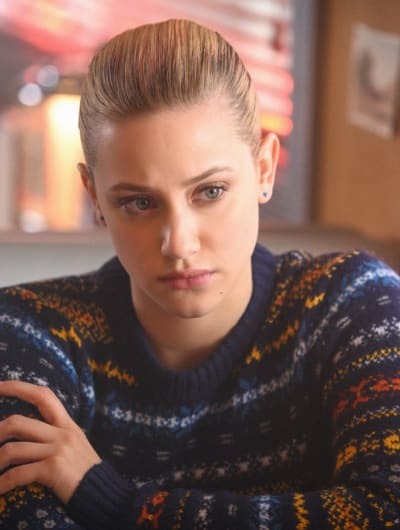 Becca: Betty unleashed her inner-Blossom, and it was cathartic. Burning herself would have been giving into despair; burning the house was her way of fighting back and snatching a partial victory against The Farm and her mom. The message is clear: Betty Cooper will not go quietly into the night, and she is ready for the next round. Kat: I understand why people are cheering Betty on for this move because Alice has caused Betty so much pain and trauma. I don't think that was the point, though. Betty still has some serious mental health issues to address, and burning down her childhood home is a pretty big red flag. Farm or no Farm, I am still waiting for them to follow through with her going to therapy. Her comment to Jughead about "feeling better about things now" came off as a reminder on how mentally ill Betty actually is. Brandon: Badass Betty is back Y'all! It was great to see Betty finally take control of The Farm situation and literally fight fire with fire. Hopefully, she continues to embrace this bold side of herself as she continues to embrace this bold side of herself as she continues to wage war on The Farm. As a fan of Riverdale (and his past works), are there any thoughts you'd like to share about the devastating sudden loss of Luke Perry? Becca: Luke Perry's work speaks for itself; his influence on TV can't be overstated, and the personal memories he inspires will always be cherished. Whenever I watch him on the screen or see a picture posted online, I'm instantly reminded of the times my sister and I hung out while watching reruns of Beverly Hills, 90210; something we still do together. 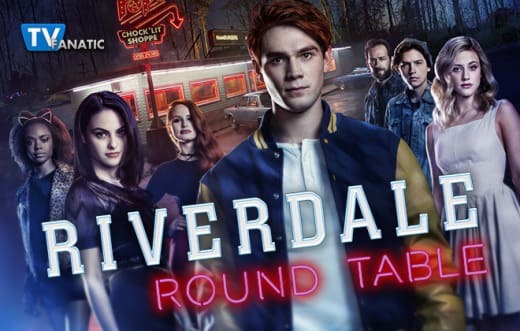 Related: Riverdale Without Luke Perry: Where Do We Go From Here? Kat: Luke Perry was the first guy who taught me not all boys had "cooties." I remember sneaking into the TV room to watch reruns of 90210. Watching Dylan and Brenda helped me learn about all the things my parents didn't want me to know yet. I had a crush on him as the casually cool bad boy, Buffy's slacker sidekick, and even now as the stable and nurturing dad to Archie Andrews. He's a legend. All the anecdotes that have poured out across the internet over the past week have only proven how wonderful of a person (not just an actor) he really was. It's devastating. I'm not sure Riverdale will feel the same after this loss. I am sending all my positive and loving thoughts to his family and friends. And anyone who HASN'T seen Luke's past work, they should get out and do so immediately. Brandon: It was truly heartbreaking news. As a 90210 fan, it was easy to fall in love with Dylan McKay. He was the ultimate cool guy with a heart of gold. It felt like that part of Dylan was a part of Luke Perry too: a cool guy with a heart of gold. 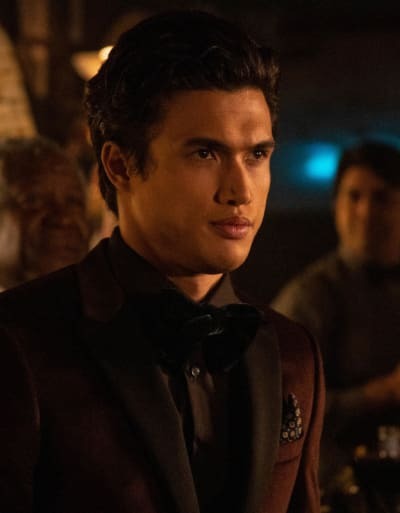 He was also the heart of Riverdale, and the show won't be the same without him. Toni: Babe, you wear many hats. Toni: But when you put on that purple jacket, you represent our gang. And now Weatherbee is out for our blood! Cheryl: I can handle Weatherbee. 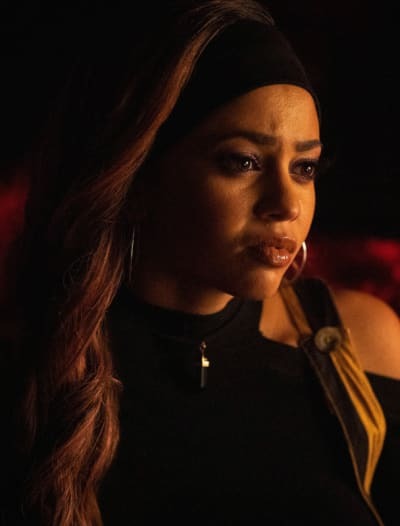 Toni: Cheryl, I don’t want to have to suspend anyone for loose cannon behavior. Least of all my own girl friend. Permalink: Babe, you wear many hats.